For many of us there is a winter storage season. How do we bring our fuel powered models out of storage confident our RX battery packs are up to snuff? Were they nearing the end of life at the end of last seasons flying? Did they survive being in the trailer or garage ceiling for a number of months? Here are important steps to greatly reduce your risk of shouting “I Ain’t Got It!” when you hit the field this spring. These recommendations are intended for NiMH and NiCad packs although the similar principals apply to any mission critical TX or RX pack regardless of chemistry. 1. You should have cycled your packs and noted the value on them when you put the model in storage. Did you do this? A simple round of cycling in the fall will help weed the weakest packs from the herd. 2. Check the purchase date on your pack prior to model reactivation. Did you date your packs? Noting the purchase date in permanent marker should be a routine with new packs. Has this pack made it 3 seasons already? If it has made it 3 seasons, it’s time to replace it with a fresh one even if it’s still cycling well. It never seems like a good deal to “squeeze one more season” out of a pack if a model is lost doing so. There are no battery experts in the industry, nor any magazine writers that are willing to dare recommending using packs beyond 3 years. Most recommend only 2 years. The incident of surprise failures increases with each season. It’s much cheaper “not” to find out how long it will take to have a failure. Think about it. 3. Similar to a new pack, a pack having been in storage for some time is in need of a slow “forming charge.” A forming charge is a simple full-to-overflowing charge on a non-peak detecting charger like your factory wall wart. While in storage the cells slowly discharge. Not every cell will discharge at the same speed. After a few months, you could have one cell at 80%, one at 60% and two at 50%. When form charging, It’s important the charge rate does not exceed 10% of the packs mili-amp-hour (mah) value when doing this procedure. This type of charge allows all the cells to fill fully and the first cells to fill won’t be overheated by the ongoing charge. The danger of peak charging a pack that has been in storage is the best cell (the 80% full one) can be ruined as it’s overcharged while the other 3 are still filling up. Also, your pack may false peak meaning that although the charger reports it is full, it really might not be. Re-equalize the cells with a good long slow wall charger charge prior to any peak charging to avoid most problems. 4. Test for Capacity. Discharge the pack on your favorite charger (with discharge function). For the purposes of this kind of test, the correct rate to test against factory rating is 20% or 1/5 of the rated capacity. It’s ok if you can’t get that setting exactly, just get it close. Example: A 1000mah pack would be tested at 200mah discharge. Most chargers will display this as .2A. Your pack should test at least 80% of it’s rated capacity. If it does not, then a few more charge / discharge cycles are in order. If you can’t get the pack to test above 80%, it’s time to replace it. Although it might seem like a money saver to succumb to temptation and overlook marginal packs, one crashed model will pay for a great many replacement battery packs. And that’s to say nothing of the risk to others when a model goes out of control. Good pack or no go! 5. When you recharge the pack after your final discharge test, check the charger input mah. Did it put in about the right amount? A pack that’s been in storage, particularly if you’ve skipped the step of re-forming it is very prone to a false peak. A great pack that tests perfect but only takes 50% of the expected recharge amount could cause some unwelcome excitement. 6. Test your Switch. First, use a loaded tester to check your fully charged pack directly. Note the value then test it through the switch harness. If it tests good directly but marginal through the switch, it might be a sign the switch is getting dirty internally, worn or perhaps some connectors are going south. Like battery packs, finding out how long a switch will last is costly knowledge to acquire. It’s a good idea to replace the switch with every other new battery just to avoid trouble. Load testing your pack with and without the switch harness looking for any substantial difference is a good way to detect a problem before starting the season. Did you notice what I omitted? After checking the battery through your switches charge lead or charge jack, unplug it from the RX, turn the switch to the “ON” position and check it again. Is it load testing similar to the charge jack/charge pigtail? The most important place for your pack to deliver it’s energy is to the RX. Make sure it’s solid to this point, not just the charge harness. Integrate these practices into your seasonal routines and many common pitfalls are avoided. Don’t forget to scrutinize your TX battery in similar fashion. Ongoing TX function is every bit as important as RX functionality. 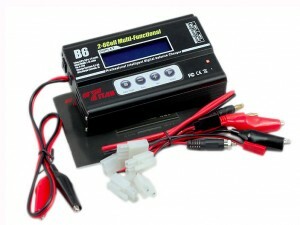 This entry was posted in Battery Wisdom, Blog Entries, How To? and tagged 12v, A123, Charge, Charging, cycle, diagnose, Discharge, Fall, Form, Fuel Powered, Life, Lipo, Lithium, NiCad, NiMH, Radio, Radio Control, Reciver, RX, Spring, Storage, Testing, Transmitter, TX. Bookmark the permalink. Is Daily Low Self Discharge Rate and Important Factor in RC?